The word “chakra” originates from the Sanskrit language. In English, we spell it a little differently. 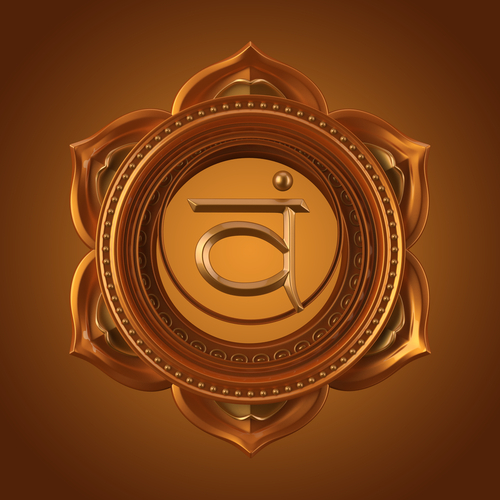 In Sanskrit, the word is “cakra.” The word literally means “wheel” or “circle.” The word “chakra” also has Indo-European roots and is related to the Greek word “kuklos” which means, “cycle.” Very early Hindu texts mention the word in connection to karma and later in the Upanishads the word is used to describe spiritual vortexes in the body. This is how the word is used in yoga and subtle energy body practices today. The root chakra, which is usually represented by the color red, is the first chakra on the body and it is located at the base of the spine. The root chakra is known as the center for survival. Here, all of your basic needs are considered. This chakra is often regarded as governing your primal instincts. The Sanskrit word for the root chakra is “muladhara.” Sanskrit is a tonal language, so actually saying the Sanskrit word for the chakras will provide energy healing benefits. 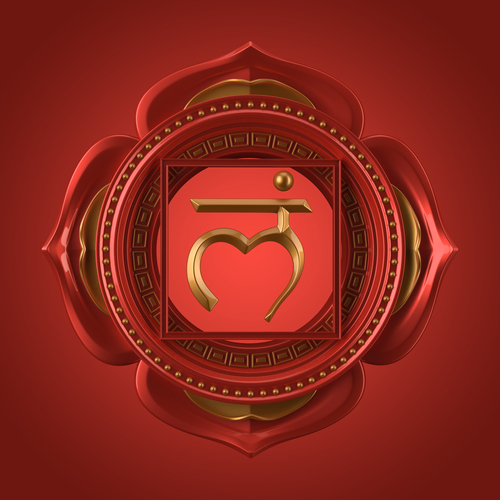 In English, the word “muladhara” translates to “root support.” This helps to reinforce the idea that the root chakra is the point where all subtle energy in the body begins. Depending on what is going on in your physical or emotional life, imbalances of the root chakra can show up in different ways. The chakra can be both too open or too closed. In this article from The Chopra Center, author Michelle Fondin states that imbalances in the root chakra often show up as “anxiety, fear, or nightmares.” She also mentions physical problems with the bladder, bowels, and lower back. This chakra is the second energy center on the body and it is represented by a luscious glowing orange color. The sacral chakra is the creativity center of the body, and not surprisingly represents your divine power of creation, including your powers for sexuality and childbirth. The pelvic chakra is called “svadishthana” in Sanskrit, and in English this means “one’s own base.” You will often see this chakra represented as a 6-petaled lotus, with each petal representing a different mode of consciousness. This chakra is very emotional and highly connected to the unconscious mind. Because of its connection to sexuality, physically this chakra reigns over the reproductive organs. When most people think about the naval chakra, they think of having a flat stomach or 6-pack abs. While physical fitness is beneficial, the naval chakra is so much more than that! In Sanskrit, the word for the naval chakra is “manipura.” In English, this translates to “jewel city.” Isn’t that beautiful? This chakra is located in the stomach region slightly below the solar plexus. The color of this chakra is yellow, so if you are trying to summon up your personal power, consider wearing the color yellow or working with yellow crystals. The manipura chakra reigns over your digestions and metabolism, but it also links to your sense of self. 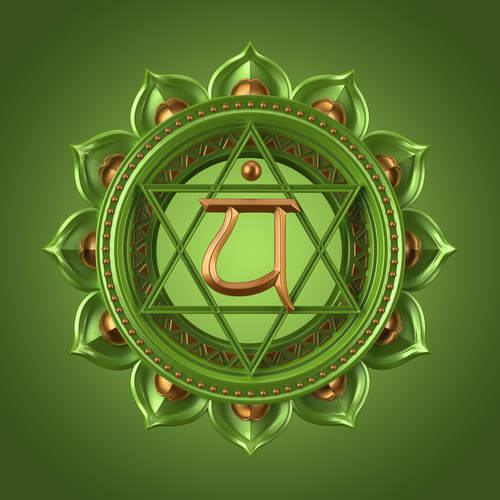 The heart chakra is represented by a sparkling green color. When in balance, this chakra helps us to feel all of the love and beauty within other people, our surroundings, and ourselves. 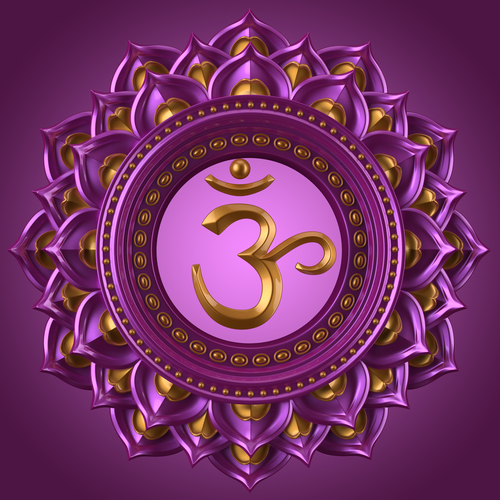 In Sanskrit the word for this chakra is “anahata.” In English, this word translates to “unstruck,” which says so much about the human capacity to love. Other than encompassing the heart, this chakra also covers the thymus gland, which produces hormones and regulates the immune system. This chakra is considered to be very special because it is a bridge chakra; this means it connects your lower chakras, which govern your earthly needs, and desires with the upper chakras that house your spiritual aspirations. Of course, this chakra is located in the center of the chest. 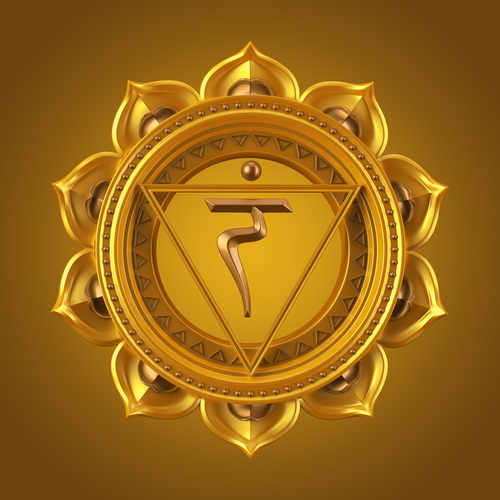 If this chakra is out of balance, you might feel defensive, closed off to others, jealous, codependent, or isolated. Holding grudges and being reluctant to forgive others is also a huge indicator that the heart chakra is out of balance. 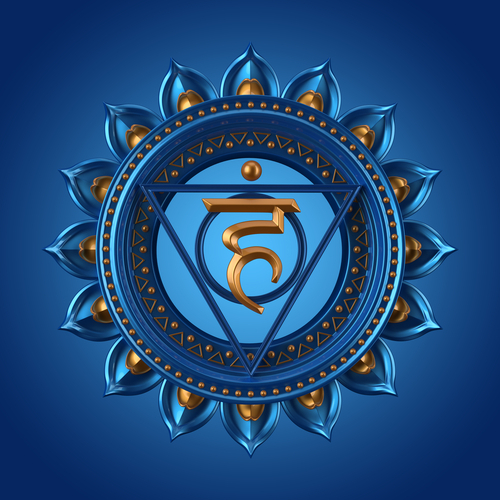 The throat chakra is energy center of the body that helps you speak your truth and listen compassionately to others. This chakra governs the throat, ears, neck, mouth, tounge, and thyroid gland. In Sanskrit, the throat chakra is called “vishuddhi.” In English, this translates to “especially pure,” which is incredibly interesting when you think about how you may use your words. This chakra is usually represented by the color blue, and when it is in balance you will find it easy to say what you mean and communicate with others in a healthy way. When this chakra is out of balance, you might find yourself being very quiet in social situations or speaking unconsciously. Everyone has had the experience of saying something you didn’t mean, but bringing this chakra into balance can help you be more mindful. When this chakra is in balance, you might find it easy to connect to your inner wisdom, intuition, and imagination. 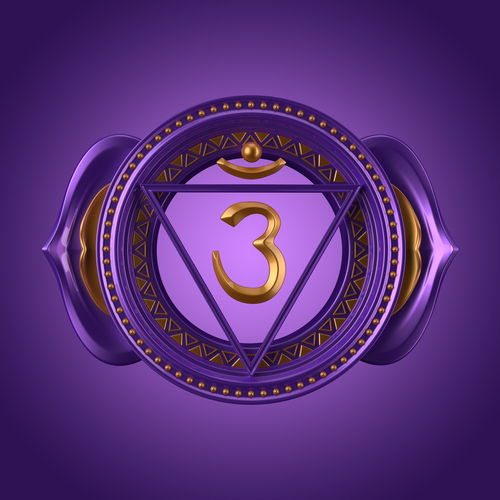 This chakra is represented by the color purple, so if you feel this chakra is out of balance, wearing and incorporating more purple into your life can be helpful. When this chakra is out of balance, you might experience vision problems, eyestrain, and headaches. The crown chakra sits right above the head. This chakra is a mixture of pure white and light purple, and it connects you to your higher self and God. This chakra is called “sahasrara” in Sanskrit, which translates to “thousand-petaled” in English. This chakra is usually represented as a thousand-petaled lotus. This chakra is the seventh chakra and is at the top of the chakras on the body. 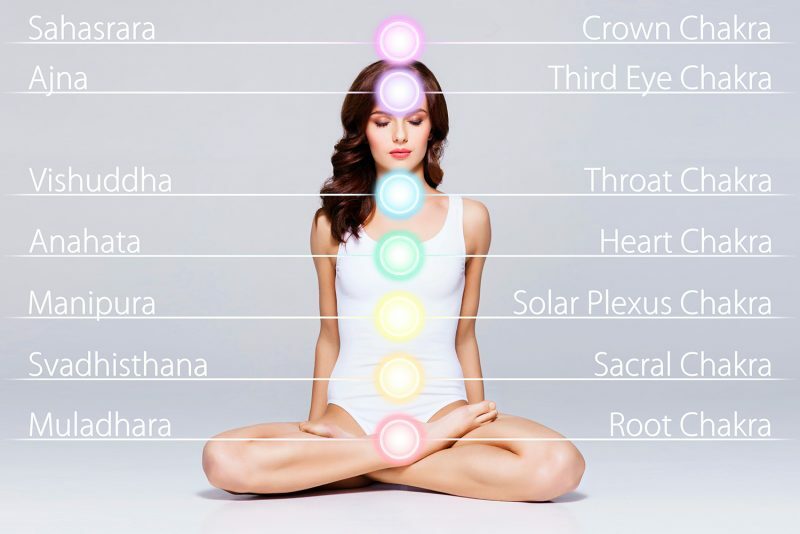 All subtle energy moves between the chakras 1-7; so while the root chakra connects us to Earth, the crown chakra connects us to the ethereal realms. These practices are best done after a yoga warm-up and only if you feel relaxed and comfortable. When practicing pranayama, make sure you are sitting up straight with your hips elevated above your knees, like on a meditation cushion or folded blanket. This action helps to keep the chakras in alignment during the breath work. Also, be sure that you are not reverse breathing; the breath should move smoothly from the bottom of the lungs to the top upon inhale, and from the top of the lungs to the bottom during exhale.